transforming inspired designs into extraordinary projects. Passion for what we do, curiosity to explore new concepts, and a belief that there is always a solution—these drive us to a creative and innovative course of action. We engage in partnerships by listening and then delivering beyond what was asked. We invest ourselves in our relationships with both suppliers and customers. Integrity is our foundation and the standard by which we work. We choose to apply ourselves individually and as a company to promote integrity in all that we do. 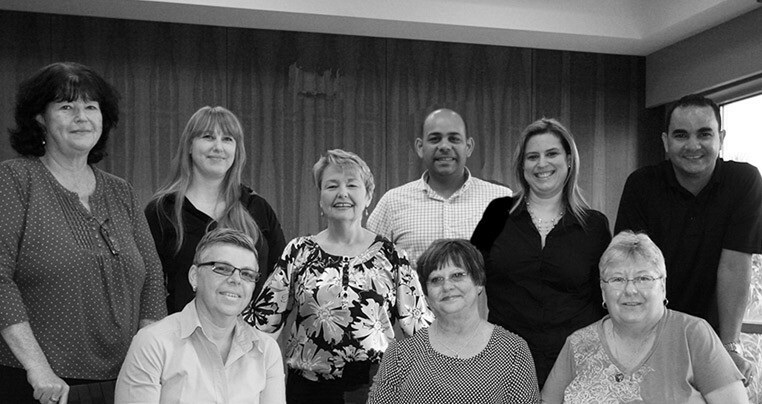 We are One Team that nurtures an environment of trust, encouragement, supportive accountability and collaboration. As an Employee Stock Option Plan company, every member of our team is a stakeholder in our success. We recognize our efforts determine our future, so we commit to increasing our skills, knowledge, and level of service. Yves DesMarais, Chairman & CEO, moved from Quebec, Canada in 1969 to start Hollywood Woodwork with his family. He obtained a degree in Accounting and Masters of Business Administration from Florida Atlantic University. As CEO of Hollywood Woodwork since 1974, he has navigated the company from a small local shop to a recognized provider of fine architectural woodwork nationally and throughout the Caribbean. His focus is on strategic direction, relationship development and fiscal oversight of the company. 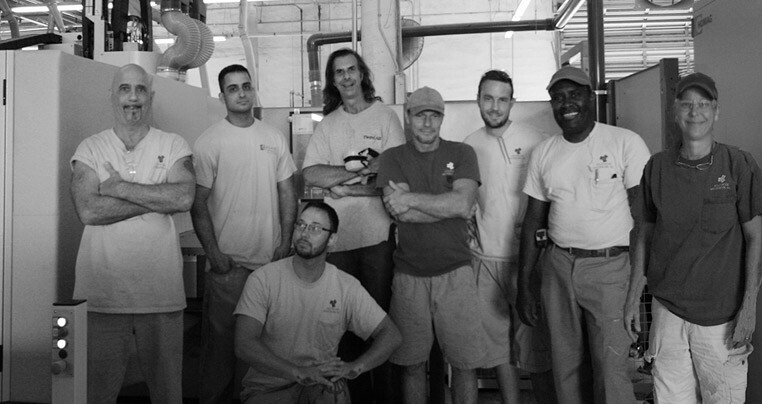 Yves and his partners sold 30% of the company ownership to the Employee Stock Ownership Program (ESOP) in 1999, officially making Hollywood Woodwork an employee-owned company, with a goal of eventually becoming 100% employee-owned. He served ten years on the board of the Tropical Forest Foundation and served as National President of the Architectural Woodwork Institute in 1994-1995. Sebastien DesMarais, President, graduated from the University of Florida with majors in Computer Engineering and Finance. He spent 6 years with General Electric, where he worked in Information Technology and Corporate Finance both in the United States and globally. He joined Hollywood Woodwork in 2010, overseeing Finance & Accounting, Risk Management, Human Resources, and Information Technology. He was elected to President of Hollywood Woodwork in 2015, with overall company Financial, Sales, and Operations oversite. 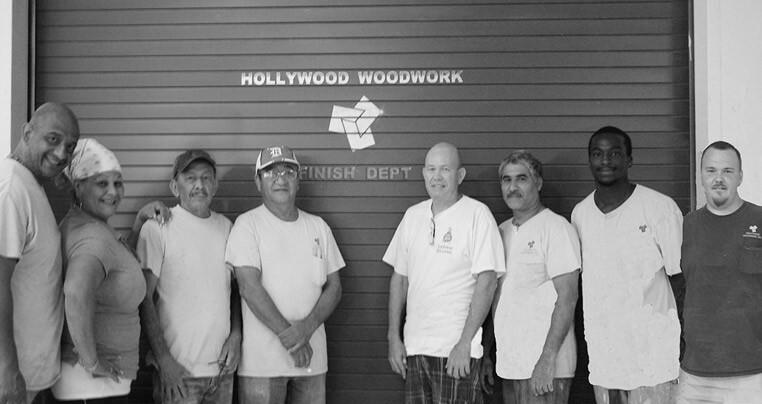 Sebastien coordinates with Hollywood Woodwork’s Senior Leadership Team to ensure that resources are available as needed to conduct our operations and to lead the company’s strategic direction. Sebastien also serves as Treasurer and as a member of the Board of Directors for the Architectural Woodwork Institute (AWI) and Quality Certification Corporation (QCC), AWI National’s Marketing and Finance Committees, and he teaches Financial Management Seminars to woodworking companies nationwide. Dave Bolt, Vice President, Chief Operating Officer, earned a Bachelor of Science in Industrial Engineering with a concentration in Architecture. Prior to joining Hollywood Woodwork, he spent 10 years of his 35 year career as Director of Field Operations and then Vice President of Projects for a nationally recognized provider of architectural millwork. With a background of involvement in some of the most prestigious projects in the U.S., he brings a unique perspective and confidence to the table that focuses on customer concerns. Dave joined Hollywood Woodwork in 2010 as Vice President of Operations, and promoted to Executive Vice President and Chief Operating Officer with oversite of the coordination of the office, plant, and installation teams as the project cycles through to completion. Dave is the lead company contact for all project-related issues from Preconstruction through Project Close-out. Drake Barber has been in the industry for 35 years, with 25 of those years involved in the management of projects and field operations. He has been with Hollywood Woodwork for 7 years, and in 2015 was promoted to Vice President, with a focus on our Field Operations. Drake is also the Project Executive for our retail clients, specializing in delivering complete packages from initial design to completed installation. He is distinguished by his willingness to go above and beyond for our clients to ensure that their needs are always met and exceeded. Brian Chamberland, Vice President of Production, has spent his entire career of 31 years at Hollywood Woodwork, holding the position of Production Manager for 20 years. Utilizing best practices from the industry coupled with his own experience he focuses on consistent production of quality products with on-time delivery . David Devivo, Senior Superintendent Field Operations, has been involved in installation for 23 of his 34 years in the industry. While meeting the challenge of coordinating personnel within multiple jobsites, he oversees the quality and timely completion of our work. Bob Hacker, VP & Director of Estimating, has been involved in the industry 37 years, with 13 years at Hollywood Woodwork. 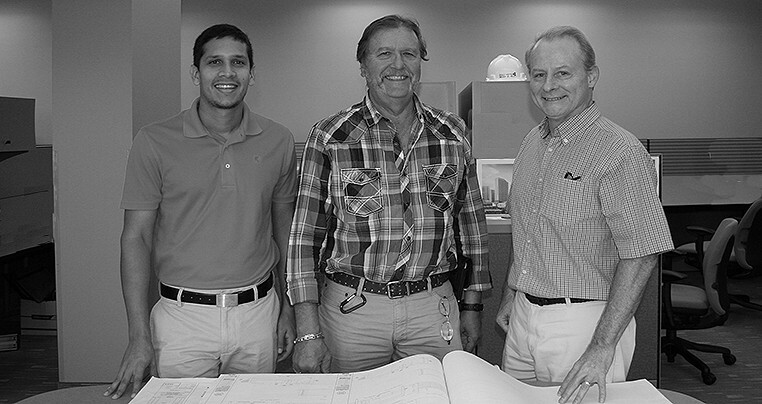 Bob was promoted to Chief Estimator in 2010, and to Vice President Preconstruction in 2015. He and his team focus on providing a consultative approach to preconstruction teams, offering options that meet the design intent and budget of the project, value engineering alternatives, and a thorough risk analysis of schedule, material selection, millwork constructability, and code requirements. Jennifer Glender, Project Manager, has 11 years experience in the industry with 3 years in project management. She blends her attention to detail with creative approaches to solutions, having total client satisfaction as her goal. Christie Kehl, Project Manager, a graduate of Eastern Illinois University and the Art Institute of Fort Lauderdale, worked as a design project coordinator prior to joining Hollywood Woodwork in 2006. Her strong background in design, coupled with a very detailed organizational approach, allows her to bring her projects to completion with a positive client experience. Caesar Siflies, Engineering Manager, brings 35 years industry experience with 12 of those years in engineering and drafting. His expertise allows him to not only coordinate the demands for the engineering, drafting, and pre-production team, but also to train and mentor the team members to provide quality service.